At Cold Spring Harbor, in a bucolic setting on the north shore of New York’s Long Island, two interdependent research centers in biology were founded as Charles Darwin’s insights into heredity and evolution shook the world of science. Fifty years later, those centers would emerge as a single institution that would cradle another revolution, the new science of molecular biology, and advance to world renown in research and professional education. It is a remarkable story, with a path of progress that was neither simple nor assured. The Road to Discovery traces half a century of changes in name, leadership, governance, and financial fortune. And scientific missteps, most notoriously in eugenics, were triumphed by innovative work in genetics, human metabolism, and cancer. From the 1940s through the 1960s, the Laboratory was home to fundamental discoveries about the nature of genetic material and a cauldron of critical assessment of ideas about genes by sharp-tongued summer visitors. James D. Watson, a junior member of that group, would go on to deduce the structure of DNA with Francis Crick in 1953 and help create the new field of molecular genetics before returning to Cold Spring Harbor as Director 15 years later. As the book shows, his "Bold Plan" would inspire, cajole, and goad into existence an era of expansion, new research directions, and initiatives in conferences, courses, publishing, and education that redefined the scope of the Laboratory. Under Bruce Stillman’s leadership, that scope has grown still more, making the Laboratory unique among research institutions worldwide--envied, imitated, but not reproduced. 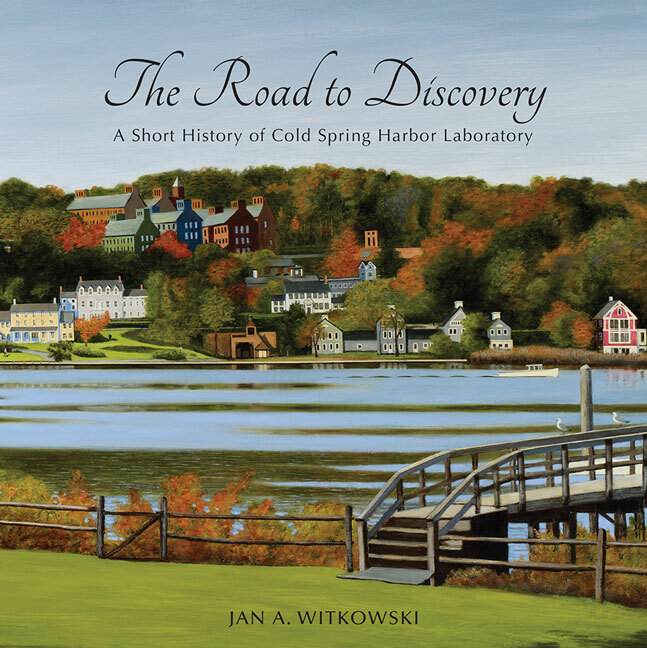 The book’s author is the science historian Jan Witkowski. His knowledge of the subject is wide and his affection for it deep. He brings to his task insights that only a decades-long career as a staff member can provide. For over a century, the Laboratory has been influenced by exceptional personalities, outstanding achievements, and dramatic events. The Road to Discovery captures that history in a lively narrative illuminated by vignettes on the importance of individual scientists and their discoveries. Abundantly documented with material from the Laboratory’s archives, it is an accessible book that will appeal to anyone interested in the development of biomedical science and biotechnology through the 20th century to the present day. IMAGE: "The Lab" in Autumn, by William B. Jonas, ©2013. Oil on canvas, 30" x 60", inspired by photographs by Arthur Brings. Reprinted with permission, Private Collection.